For the final exam, we will look at each person’s story as a class. I would like each person to show and explain his story, but if anyone feels that theirs is too personal or they are not comfortable sharing it with everyone, let me know. DUE: Thursday, January 27 in class final. This is it — your finished digital story. The final version of your PowerPoint should be ready, with all the content on each page finished. It’s worth the largest portion of your final grade of any single assignment, about 10%. 50%: Story — Your story should be well-developed and clearly told. Writing a personal narrative is a bigger challenge than choosing an existing story to illustrate. Selecting existing material to illustrate is in between those two. 25%: Text — The narrative of your story should be clear and understood from the presentation. This can be done with onscreen text, captions, or audio narration, or by you live during the presentation. 25%: Visual — Good use of visual imagery and illustrations supports the narrative. Creating your own images is worth more than using existing ones. You can earn extra credit on this project for using extra PowerPoint animations or incorporating so-called “rich media” in your digital story. By rich media, I mean scanned images or digital media (sound, photos or video) that you generate, not media that you find on the internet. This must be done in a way that supports your other content, not just something slapped gratuitously into the story! Max 25% Extra Credit: Animations, Rich Media — Incorporating animations, original digital media in an appropriate way that enhances other content. DUE: Monday, January 24 in the course dropbox. This assignment is to create the first prototype of your story in PowerPoint. In this case, a story prototype is just a first mockup of the PowerPoint slide show. You should have one slide for each =”chapter” in your planning document. The slide doesn’t have to have all the images or text or other media on it, but should just be a placeholder for your final design and implementation. The purpose of this assignment is just to make sure that you have the story mapped out and are beginning your production process. I will just come around and review it with you at your computer, make sure you are on the right track, and give you suggestions and feedback on your project. DUE: Friday, January 19 in class. Before starting actual production of your PowerPoint story, I want you to do some planning on paper for it. I know this is always painful for most of you, because the fun is in making the images and animation, etc. But, it is always a good idea to PLAN before DOING on a project. This one might seem small enough that you don’t need to, but on a larger project you will need to do this. So this is good practice. Your planning document, called a storyboard, should summarize the project in a few paragraphs, and then have a list of “chapters” that will make up the story. These chapters, for your PowerPoint, will probably correspond to individual slides, but that may change as you get into production. Then for each chapter, you create one page of a “board” of story elements, the storyboard, which describe what happens on that slide in the PowerPoint. You can create this story planning document in Word. Here is a sample that you download and use as a template: Story Planning. DUE: Friday, January 7 on paper in class. We are shifting gears from Excel now, and into PowerPoint. The format of this story will be a multimedia presentation in PowerPoint. But the idea is not to make the story like a business or marketing presentation. Rather I want you to use the power of digital media of all kinds (text, images, graphics, photos, video, sound, etc.) to communicate your ideas. You will develop a presentation in PowerPoint and then show that presentation to the class. I would also like to have you make a website of the presentation as well, if we have time. The first step in this digital story-telling process is to write down the story you want to tell, in words as a short essay. In this essay, explain the subject of your story — describe the person, place, or event that you have chosen that is important to you. Also explain why this person, place, or event had an impact on you, and how. This essay can be done in Word and should be approximately one page long. DUE: Friday, December 17 on paper in class. Continuing on the theme of analyzing sports statistics from the last assignemnt, this one will focus on college basketball. Your assignment is to modify this spreadsheet — College Basketball — to calculate the missing statistics in the colored cells on the spreadsheet. Enter your answers right in the green cells on the spreadsheet at the bottom, and submit the spreadsheet in the course dropbox. ADD YOUR NAME to the name of the document when you save it! And substitute YOUR NAME inside the spreadsheet at the top. DUE: Friday, December 10 in the course dropbox. This assignment will use an example from the world of international sports, Serie A Calcio, the “big league” of Italian football, or soccer, if you insist. The points for each team are calculated basesd on this formula, and they are ranked according to the number of points they have. If two teams are tied in points, then a further calculation based on the number of goals scored and allowed is made to break the tie. For a tie, the difference between the number of goals scored (for) and the number allowed (against) is calculated. That is called the goal difference. A team with a larger goal difference than another with the same points is ranked higher. And the Italian league has a wonderful system where, at the end of the season, the three teams at the bottom of the standings get demoted, or relegated, to a lower league (in this case, Serie B). Your assignment is to modify this spreadsheet — Serie A Calcio — to automatically calculate the goal differences and points for each team in the league. Once you have completed that, you can sort the data in order to rank the teams in the league. First download the spreadsheet and add the required formulas to the pink cells to caluate the missing stats. Here is an example spreadsheet that demonstrates some simple formulas that you can use as a reference. Then sort just the 20 rows of the teams in the spreadsheet, and you should then be able to answer the questions at the bottom of the spreadsheet. You will have to do a two-level sort, on both the points and for the second level, the goal differences to break ties. Question 4: The top three teams in the ranking go directly to the Champions League playoff. Questions 5-7: The bottom three teams in the ranking get relegated to Serie B. Questions 8-9: The 5th and 6th place teams qualify for the Europa League. Enter your answers right in the green cells on the spreadsheet, and submit the spreadsheet in the course dropbox. ADD YOUR NAME to the name of the document when you save it! And substitute YOUR NAME inside the spreadsheet at the top. DUE: Wednesday, December 8 in the course dropbox. The purpose of this assignment is to learn about using formulas in Excel. Since this is not a particularly exciting topic, I am hoping we can have a little fun along the way. We are going to return to our friend the QR Code, which I am sure you will all remember from the beginning of the class and our re-visitations along the way this semester. We’ll use Excel to do some layout and calculations, and then use that as a template to make our own QR codes with LEGOs! Physical QR codes that can be scanned. Actually, you can use any other materials you like; more on that later. Pick one and then go to this website — Mobilefish QR Code generator — to make your QR code image with the content you decided on. Then use the GENERATE button to create the QR code image. When you are happy with yours, use the DOWNLOAD QR CODE button to save the image on your account. Then print it out, and go on to the next part of the process. Mine looks like this, of course. Now you are going to plot the individual pixels in the QR code in an Excel spreadsheet. Create a blank spreadsheet. You will be using a 25 x 25 grid, where each spreadsheet cell represents one pixel of the QR code. Enter a “1” in every cell that corresponds to a dark pixel in the QR code. Leave the cells that correspond to the light, background pixels blank. This is tedious, so do it carefully. When you are done, you should have a spreadsheet that looks something like this. Now you get to practice some Excel formulas to do some calculations. Since you are eventually going to build this QR code with LEGOs, I want to know how many LEGO pieces you will need to represent the dark pixels. You can do this by adding up the sum of the values in each row or column. This will count the number of 1’s in the row, which is the number of dark pixels. Then you can sum up all the row or column totals to find the total number of dark pixels. Make sure that you get the same number by summing the rows as you do by summing the columns. You should have a spreadsheet now that looks something like this one. Put your name on it and submit that with the print of the QR code image. 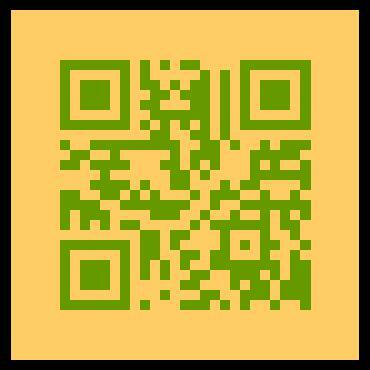 The next step is to see if you can make the Excel spreadsheet itself scan as a QR code! I made my spreadsheet look like this one by some tricky Excel formatting. See if you can figure out how to do it, without just manually coloring the cells with “1”s in them. I did it with one step. And, the QR code reader actually recognizes it! Now, using this template, we’ll have a LEGO party and actually make the QR codes in a physical medium and see if they can be recognized by the scanner. Or maybe you’ll want to use some other materials. Check out this site: Edible QR Codes! DUE: Tuesday, December 7 in LEGOs (or ?) in class. You have been hired as an information designer by the Roosevelt High School Counseling Center. The staff has tabulated some statistical information about the Rough Rider Class of 2010 and would like a nice visual display of this data. Your assignment is to analyze this data and interpret it visually so that the information is easily understood by a reader. Statistical data is notoriously difficult to comprehend without graphs and charts. You will go through this process in a step-by-step fashion and use it as a way to explore and master various features of Microsoft Excel, the spreadsheet application. The first step is to unpack the data from the dense text in which it is embedded. Here is the source of the data that you have been given: RHS 2010 Grad Stats. And here is an additional supplement to incorporate: RHS 2010 Grad Stats, 2 Year Schools. Read these document and extract the significant numerical information from them and assemble them in a simple tabular form. Use this template: RHS 2010 Stats Table. Add one line for each school that a student will attend. Enter the number of students going to that school in the far right column. Look up the zip code of each and enter it in the third column. (You will use this information later to plot the schools on a map.) Calculate the total number of students in the Class of 2010. Once you have generated the table information, save it, print it out, and show it to me to verify that you have the correct data. Then turn it in. This document — RHS 2010 Grad Stats — is a sample of what you should create in Excel. But it is only a suggestion, and a mediocre design. You should experiment with different kinds of charts and graphs to select the ones that you think best illustrate the data being represented. And pay attention to the layout so that it is pleasing and communicates the ideas well. Your job is to produce something similar in Excel, but better, and to use the correct numbers in those charts from your analysis that you assembled in the Word Worksheet. 5 points — Graduation Rate: all numbers correct? 5 points — Graduation Plans: all numbers correct? 5 points — 4 Year Colleges: all numbers correct? 5 points — 2 year Colleges: all numbers correct? 4 points — Bar charts: all correct? 4 points — Pie charts: all correct? DUE: Friday, December 3 on paper in class. For this assignment, you will create a cover letter document in Word. The purpose of this is to understand and practice writing a properly formatted business letter. The subject of the letter should relate to the objective you listed on your resume. You can write to a fictitious or real company that you would like to approach for a job, or perhaps an internship, or a volunteer opportunity, holiday workor another other professional opportunity, etc. Follow the format in the sample letter from the Office 2007 book (page WD 147, Figure 3-1), which you can view at this link: Sample Cover Letter. Use the same letterhead you created for your resume. DUE: Monday, November 8 on paper in class. This is a quick assignment, worth only half of the usual points for an assignment. You just need to read the post and an article on the course blog about “Car Hacking,” then go over to the Lab 319 blog and post a comment with at least one substantive question about what you’ve read. 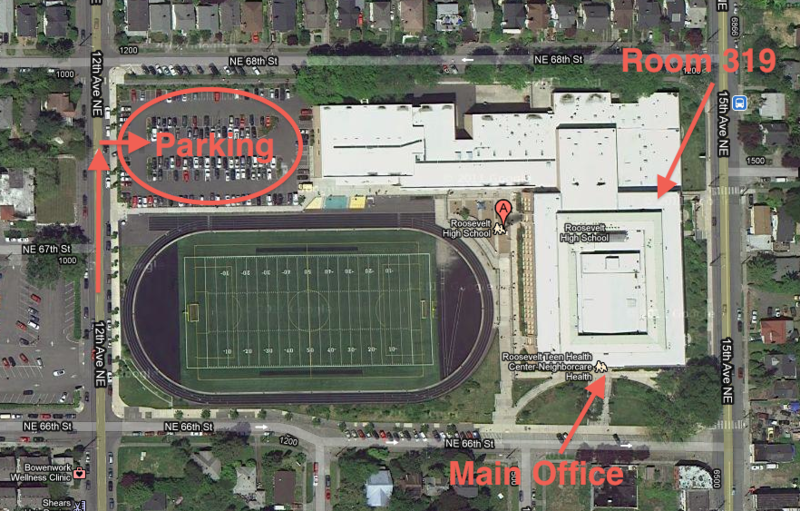 We’ll use your questions in the discussion with Ms. Roesner during the demo on Tuesday. In this second part of the resume assignment, you will expand the outline of items to be included in your resume (which you developed in Assignment 9) into a fully written and formatted resume. This will be done in two phases. The first phase will focus on the content again, postponing the decisions about presentation and form and visual style until the second phase. For the first step, expand the outline to a fully composed resume. The text you produce should have all of the information you want in your final document, exactly as it will be presented, but without worrying about font choices or page layout. Check your writing for correct spelling and grammar; use the tools in Word to do this. I will help you edit your writing, again in individual meetings. Once you have the content of your final resume approved by me, you can then go on to the second step of this assignment—selecting the visual style and format you want to use for the presentation of your resume. This is a matter of personal choice—how you wish to show what you written about yourself—but it must be professional in appearance and appropriate for your stated objectives in the resume. DUE: Monday, October 25 in the course dropbox. Your next assignment is to create a personal resume. A resume is highly personal, yet professional, reflection of you; it speaks volumes about how you want people to perceive and respect you. It summarizes your skills, experience, interests, activities, etc. It is used to help you achieve your goals in the world outside of high school. You will approach this assignment from two different angles: form and content. In this assignment, we will pay equal amounts of attention to both the form and the content. Part A of the assignment will be to think about and write down, in rough form, an inventory of all of the information you want to include in your personal resume. Part B will be to craft a professional-looking, carefully formatted Word document that is an expression of you. In the previous assignments, we have been less concerned with the presentation and more with the mechanics of producing your content. In this assignment, design matters, and we will spend some time working on the details of your format choices. And also in this assignment, good grammar, spelling, and language count as well. I will work with each of you to help you craft an excellent resume that reflects your profile and style. You will probably do a few revisions of the work. Here is my resume, as an example. And here is another sample resume (from the Office 2007 textbook, Figure 3-2), which is probably closer to one you might create for yourself. In Part A of this assignment, you are to create a list of categories of information you wish to include on your resume. You will also fill in the details of each category, listing all items in that category. You will not be concerned with the design of your resume in this part, only the contents. This should be done in outline form. For Assignment 9, select from the list of categories I listed (or add your own) the ones you want to include on your resume. Then, for each category, list all the items that you will display in this category. This may sound simple, but it will require a lot of thought. You need to consider the goals you have in using this resume. When you have drafted an outline, I will review it with you and make suggestions for revising it. The revised version will serve as the basis for part B of the assignment, which is to create a beautifully formatted version of your resume. DUE: Monday, October 18 on paper in class. For this assignment, you are going to continue working on the theme of your dream job and learn or practice making tables in Word. Your task is to research available post-secondary (after high school) training or college programs in the State of Washington that will help you reach your goal or dream job. You will prepare a report using Word that summarizes what you found. Here is how to do it. A branch of Washington state’s Employment Security Department (ESD) gathers, analyzes, and publishes information about the state’s labor market. There is an enormous amount of information available on their website (Workforce Explorer) for researching careers and job possibilities in the State of Washington. Choose at least three fields to research for yourself. These can be related to each other because you are not sure exactly what you might want to do (like be a medical doctor, or a nurse, or a paramedic). Or they could be very different, like acting or marketing or retail. Now go to the link for “Learn about education and training options” and use the “Find Training Programs” tool to discover what programs are available in Washington for each field. Create a report in Word to summarize all of the training programs that you found. Follow the format in this sample report, but replace all of the information with what your research turned up. Be sure that the information about you and the course at the top appears in a header at the top of every page. Also be sure that page numbers appear in the footer of each page. The main task is to create a table in the body of the report for each professional field, and to copy the information you find on the website into the table. I will show you how to create a table in Word if you don’t know how. Print the report out when you are done. DUE: Thursday, October 14 on paper in class. For this assignment, you are going to continue working on the theme of your dream job and learn more features of Word. You have already written in your mini-essay about some ideas you have for a job or career you would like to pursue ten years after you graduate from Roosevelt. Now imagine you want to start a new club at Roosevelt for other people who share your idea of a dream job. Choose a name for this club, pick a date, time, and place for the first meeting, and write a short paragraph describing the purpose of the club. Find or make at least one image to use that will attract people’s attention and communicate the purpose of the club. Then create a one page flyer in Word to advertise this first meeting. Here is a sample flyer for a club I made up. You can follow this template. Do not make it look exactly like mine, but you should have all of that basic information on yours. Choose your own fonts and sizes that you think are appropriate for your club. If you need help figuring out how to insert an image into your document, there is a step-by-step explanation in the Office 2007 reference book (in the bookcase by the front door of the room) on page WD-40. If you already know how to do most of this in Word, I expect you to be more adventurous in your design. DUE: Monday, October 11 on paper in class. For this assignment, I would like you to take a short survey online about your habits and skills in using various computer applications and digital tools. This is to give me some data about what everyone already feels comfortable doing with various computer applications and what we need to focus on in the next weeks. This first survey is fairly general. I will follow it up with more detailed assessments for specific software applications. Please be honest abut your experience and comfort level with the tools. The purpose of this survey is for me to understand how best to support your learning needs. This assignment will not be graded; you will get full credit just for completing all of the questions. Be sure to use your real name in the survey so I know whom to credit with the assignment. Here is the link to the survey: Computer Apps Period 2 survey. DUE: Tuesday, October 5 on the survey site. For this assignment, you simply have to return the signed Academic Integrity Policy document, indicating you and your parent or guardian have read and discussed it, and agree to those rules. DUE: Monday, October 4 in class. Write down 2-4 things you observed about cloud computing from watching the video, and 2–4 things you wondered about or questioned. Post those “wows” and “wonders” as a comment on the class discussion blog at lab319.wordpress.com. Be sure to use enough of your real name in your comments so I know who has authored the comment. DUE: Tuesday, September 28 on that blog site. For this assignment, you will explore the issue of “net neutrality” and begin blogging as a way to share your ideas. I have set up a separate blog site for our class discussions at lab319.wordpress.com. Please go there, find the post on net neutrality and read the information in the post. Then post a comment on the blog entry stating your opinion about net neutrality. Support your opinion with some reasons. Once you have posted your opinion, reply to at least one other person’s comment with a followup opinion or question. Be sure to use your name in your comments so I know who has authored the comment. DUE: Monday, September 27 on that blog site. For this assignment, you will begin your portfolio project. I would like you to write a mini-essay or personal statement that describes what your dream job would be, ten years from now. You can find a worksheet for the assignment here. Submit a Word document containing your essay. Be sure to include your name or RHS account in the name of the document so I can tell whose it is. DUE : Friday, September 24 in the Course Dropbox. For this assignment, you and your parent or guardian should discuss the letter I gave you with the course syllabus. You and your parent or guardian should sign it, indicating you understand and agree to the course policies, and then return it to me. You can download a copy of the letter to print out here. DUE : Monday, September 13 in class.